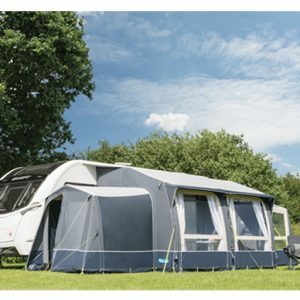 The Rally Air Pro Grande 390 is the latest addition to Kampa’s Rally Collection with a huge three metre depth with a remarkable 11.7m² of usable space. 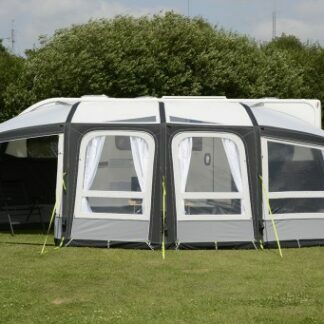 The Rally Air Pro Grande 390 is the latest addition to Kampa’s Rally Collection. 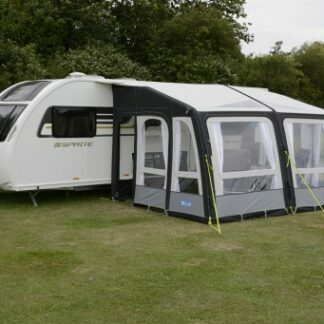 Introducing a huge three metre depth with a remarkable 11.7m² of usable space, the Grande remains simple to set up. 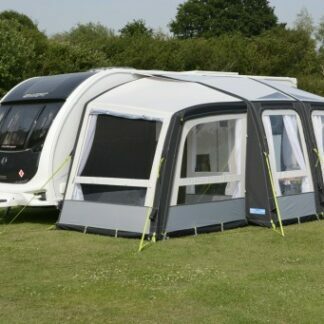 The awning utilises Kampa’s Weathershield™ Pro fabric, an iconic fabric that is used extensively throughout our Kampa’s range of awnings as it has proved itself time and time again due to its excellent weatherproofing and durability, whilst remaining light enough for easy set up and handling. Improvements to the UV protection and the coatings to make sure that Weathershield™ Pro continues to be market leading. On top of all this, the 2018 models come ‘Limpet™ Ready’, ready to accept our Limpet™ Fix System – an ingenious method of attaching the side walls to the caravan. 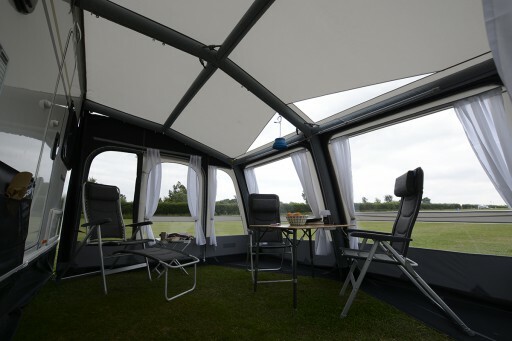 Simply attach the Limpet™ through the pre-cut holes in the rear of the awning and fasten to a smooth caravan surface. There are four holes on each side of the awning. Limpets™ come in a pack of eight and extra holes, to suit your caravan, can be made using the Limpet™ Hole Punch. 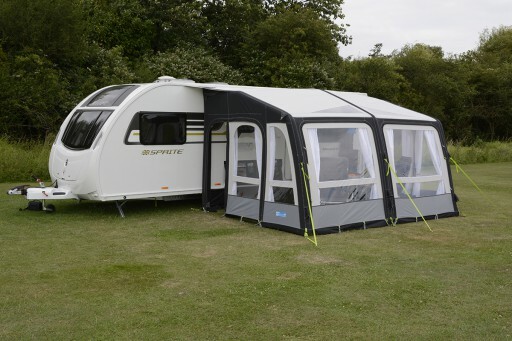 Updated for 2018, the Frontier Air Pro 300 is total of seven metres wide and has a depth of three metres. However it only requires just over three metres of straight awning rail.